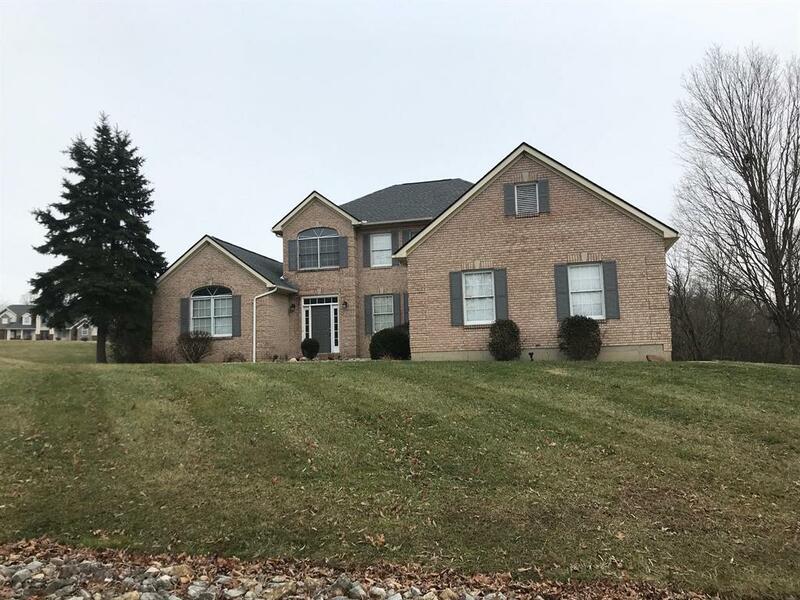 On a private setting this custom built 2 story all brick home features open floor plan, great room with daylight windows up one wall, stone fireplace. Large eat-in kitchen w/hickory cabinets, center island and breakfast nook. 1st floor master, formal dining room, study, 2 bedrooms on second floor w/rec room area. 2 car garage. On 2.285 acres.